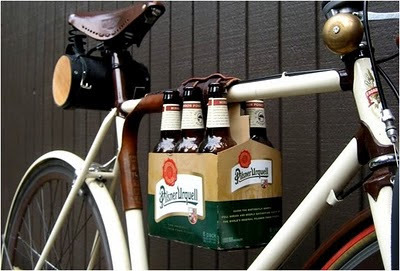 1) 6-pack holder from Bless This Stuff (clearly the most newsworthy, so it's first on my list). 2) The dream is still alive in Portland (the city that really knows how, duh)! 3) Ewan McGregor and his dog are adorable. 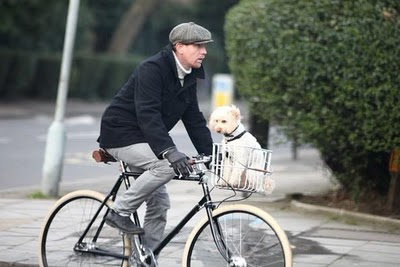 The world needs more cute little dogs in bike baskets!